French women are famous for their flawless, foundation-free skin—and perhaps the reason why is this cult-favourite retinol. A313 Vitamin A Pommade is a pharmaceutical-grade vitamin A sold over-the-counter in France, and if you ask me, it&apos;s one of the country&apos;s BEST beauty secrets. But you don&apos;t need a flight to Paris in order to buy it (although that would be nice!). I recently stumbled across it on Amazon, and now it&apos;s been part of my skincare routine for about three months. Spoiler: It has quickly become my favourite retinol! If you&apos;re keen to try an inexpensive yet potent retinol, read on! A313 Vitamin A Pommade is the new version of Avibon. First, a little background for you. Before A313 Pommade, there was another French retinol called Avibon. "Avibon is hard to find outside of France, but it&apos;s one of my very favourites. It&apos;s full of Vitamin A, which is wonderful for the skin, getting rid of blemishes, tough dry spots and preventing wrinkles (they say). I know an older movie star who uses this every night and she has the most amazing skin!" When she wrote that back in 2012, Avibon instantly achieved cult status. Even so, it remained out of reach for most people, since you had to actually GO to France in order to buy it. 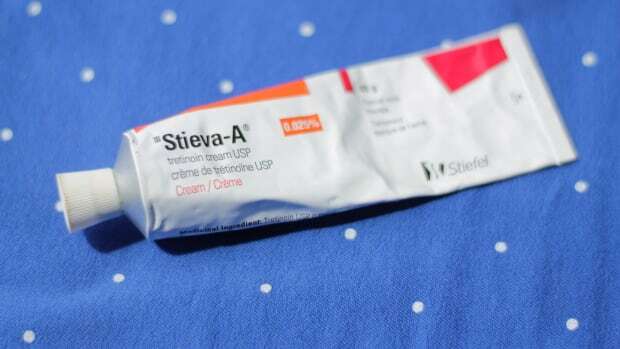 Sanofi has stopped marketing its Avibon vitamin A skin ointment in France. After batches of the ointment were recalled in March 2013 due to "product stability" problems, Sanofi&apos;s "various attempts at improvement" had not resulted in "a product that met current quality standards," a spokesperson for the French firm told OTC bulletin. Fortunately for us, they quietly introduced a replacement product, A313, that same year. And now, thanks to the Internet, it&apos;s just a click away! So, what&apos;s in A313, exactly? And what&apos;s the difference between A313 and Avibon? Let&apos;s start with A313. The packaging is in French, of course, and states that the active ingredient is 200,000 IU of synthetic vitamin A in "oily" form. (We&apos;ll talk texture in a minute.) Since 1 IU is equivalent to 0.3 micrograms, and each tube is 50 grams, this works out to a 0.12 percent concentration. Unfortunately, there&apos;s nothing on the tube or box that specifies which type of vitamin A they&apos;re using, so I did a little more digging. According to CosDNA and INCIDecoder, it&apos;s a combo of retinyl acetate, retinyl propionate and retinyl palmitate. So that means the 0.12 percent vitamin A in A313 is not the same as a 0.1 percent prescription retinoid like Retin-A, which is pure retinoic acid. A313 is weaker—technically, even weaker than retinol. But the weird thing is, I actually find it stronger! A313 is also milder than its predecessor. Avibon boasted five times the amount of vitamin A, 1,000,000 IU, in a 30 gram tube. That&apos;s equivalent to 1 percent. But I have to say, I&apos;m not sure I could have handled that! As for the inactive ingredients, A313 is in a base of polyethylene glycol ("macrogol"), which is both a stabilizer and a penetration enhancer. That right there might explain why it works so well, because more of the actives are able to get into the skin. A313 is also unscented. In contrast, Avibon had a lanolin base and was fragranced. A313 can treat wrinkles, pigmentation and acne. Fine lines and wrinkles: Both retinyl propionate and retinyl palmitate have been shown to reduce facial wrinkles, according to this 2007 study and this 2018 study. Another study, in 2010, found that retinyl propionate along with niacinamide and peptides gave comparable results to tretinoin, without the irritation. Retinyl palmitate also thickens the skin, according to this 1988 study. Pigmentation: This 2007 study found that retinyl propionate improved hyperpigmentation. You could also use it to help fade post-acne marks. 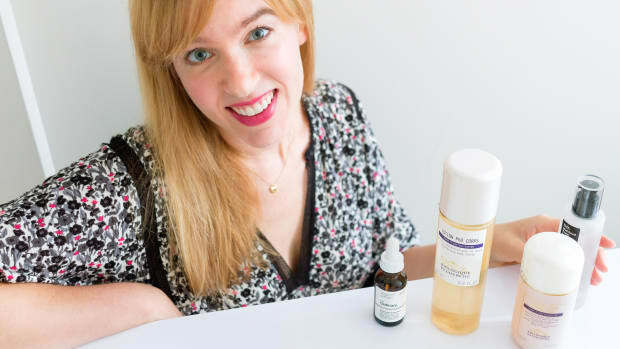 Acne, oily skin, blackheads: I couldn&apos;t find any studies proving that retinol esters can help with breakouts and excess oil production, but in my experience, they definitely can! I believe they also reduce the appearance of large pores. A313 has a thick, ointment texture. I&apos;m going to warn you right now, the texture of A313 is probably unlike anything else you&apos;ve put on your face before. It&apos;s a thick, translucent ointment. Kind of like Vaseline, or a pure lanolin such as Lansinoh. A313 coats the skin with an oily film. In fact, it is so thick that it&apos;s a little challenging to spread around. Once you do, it leaves your skin coated with a greasy, shiny film. No, this is not a cute night treatment! But I&apos;ve actually come to LIKE the texture, believe it or not. It feels somehow more nourishing and protective than other retinoids. Plus, when you wake up in the morning, your skin will be unbelievably soft, plump and hydrated. 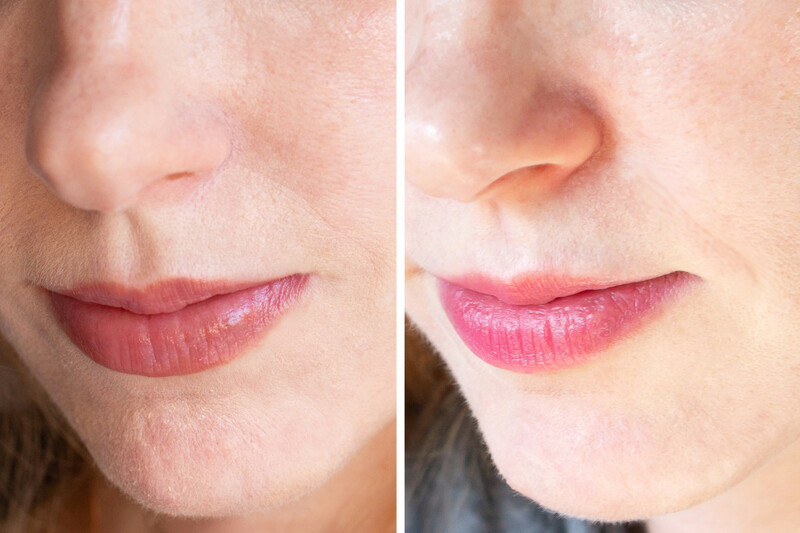 I&apos;ve never noticed results like that from any other skincare product! The pamphlet inside the A313 box. So they kind of leave you on your own with this stuff. But not to worry—after using it religiously since the end of December, I&apos;ve got a few tips! Use it at night: The pamphlet actually says "one or two times a day," so you could technically apply it in the morning (as long as you wear sunscreen!). But you&apos;re going to look like you dipped your face in a vat of oil, so I think nighttime is best. Make sure your skin is dry: This is really important. Your skin has to be FULLY dry in order to prevent irritation. You want to wash your face and then wait a good 20 to 30 minutes. When I didn&apos;t do this, it made my skin feel super itchy and uncomfortable. 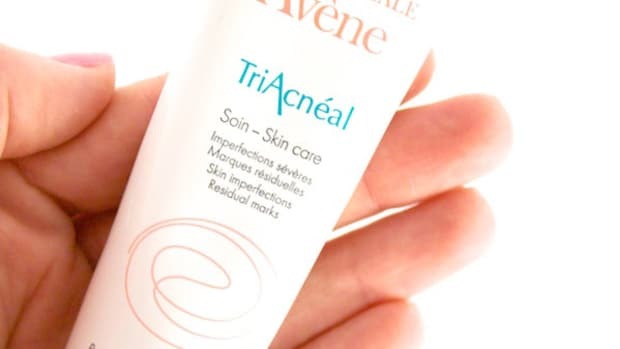 Avoid other actives (at first): For the first week or two of A313, I stopped using my nightly acid exfoliator beforehand, in case both were too much for my skin. But once I started to develop a tolerance, I introduced the acid back, 30 minutes before the A313. See this tutorial about how to layer an AHA or BHA and retinol in your routine. Use a pea-sized amount: A little goes a long way, so this should be enough to do your entire face. You can also use it on your neck and chest if you like (so this might take another half pea). Spread it in a thin layer: I dispense about a quarter of a pea at a time, applying it to my face in quadrants (left side, right side, mouth/chin and nose/forehead). You can use retinoids to treat eye-area wrinkles; just be cautious because the skin is thinner there, and more susceptible to irritation. Also be very careful that you don&apos;t apply too much, because it could migrate into the eyes (as well as get over your pillowcase). Moisturizer is optional: A313 is very moisturizing, so there&apos;s a good chance you won&apos;t need any nighttime hydrators. However, if your skin is dry or experiencing irritation, you have a few options. You could layer a light serum or night cream underneath (30 minutes before). You could mix the A313 with equal parts cream. Or you could layer a cream or oil on top (but wait another 20 or 30 minutes so the A313 has a chance to absorb). Keep in mind that all of these will dilute its effectiveness. Expect itching and flaking: Although making sure your skin is dry helps, you will probably notice some annoying itching after the first few applications. Try to ride it out if you can, because this eventually goes away once your skin gets used to it. Another side effect is flaky skin, but again, this should improve over time. If the dryness and irritation are too much, you can always back off for a night or two and then start up again. Wear sunscreen: This goes without saying, but especially when using vitamin A! Check out my guide to the best face sunscreens if you need some recommendations. Build up slowly: For best results, you want to be using your retinoid at least three times a week. If your skin is used to vitamin A (like mine), then you might try every other night, moving up to nightly applications after a couple of weeks. Otherwise, for more sensitive skin, follow the "1-2-3" rule. Use it once a week for one week, twice a week for two weeks, and then three times a week for three weeks. After that, you can keep increasing the frequency or stop there if it&apos;s all you can tolerate. You might purge: If you&apos;re acne-prone and new to retinoids, you may get purging for the first month or two. This is actually a GOOD thing (see my purging vs. breakouts tutorial). Although anything is possible, I think A313 is unlikely to trigger non-purging-related breakouts. I am acne-prone and didn&apos;t experience any! Flaky skin during my first month on A313 (left) vs. smoother skin after three months on A313 (right). I will confess that I skipped the "building up" stage with A313 and jumped right into nightly applications. 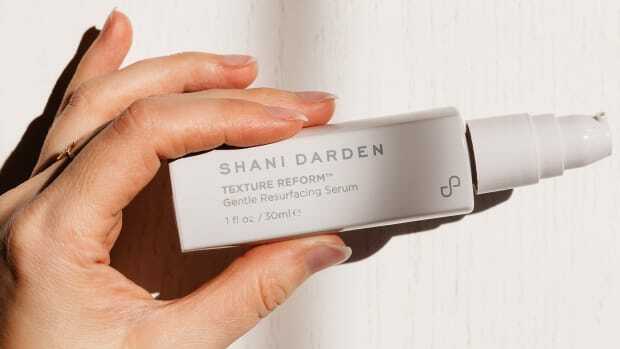 I figured I could handle it, since I&apos;d already been using Shani Darden&apos;s Texture Reform (reviewed here), another retinol ester-based product. Well, I was surprised to discover that A313 is VERY strong! Not only did I experience itching for the first little while, but my skin also got really dry and flaky. It wasn&apos;t irritated, just peeling off around my chin and nasolabial folds, as you can see in the "before" photo on the left. 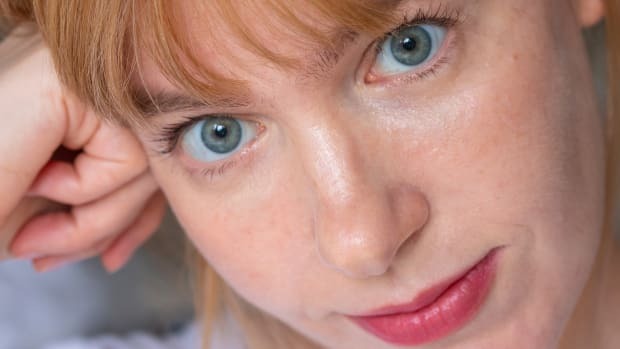 I haven&apos;t experienced that kind of peeling with any other retinol—not even The Ordinary&apos;s Retinol 1% in Squalane (reviewed here) or Shani Darden&apos;s Retinol Reform (reviewed here). It was more like the peeling you get from prescription Retin-A, minus the redness and extreme dryness. I dealt with it by using my Foreo Luna 2 for Combination Skin to buff off the flakes, and stepping up my hydration. I found the Dr Roebuck&apos;s Iceburgs Hydrating Mask and Tata Harper Moisturizing Mask especially helpful. For moisturizer, I rotated between Dr Roebuck&apos;s No Worries Hydrating Face Moisturizer, Indie Lee Active Oil-Free Moisturizer and Biologique Recherche La Grande Crème. I used those on top of Paula&apos;s Choice 10% Niacinamide Booster, since niacinamide has been found to reduce dryness. But I only used these during the day, not at night. Now, three months along, the flakiness and dry skin have mostly gone away. My skin, after using A313 for about three months. I&apos;m not sure about fine lines just yet, but I think A313 has already made my skin look a little firmer and plumper. Plus it seems to even out my tone (keeping in mind that I&apos;m also a big acid user, so that helps, too). Probably my favourite benefit of all is how A313 keeps breakouts under control. Not only does it reduce the incidence of acne, but it also speeds the healing of any existing blemishes. I&apos;ve heard that some people use it just as a spot treatment, and you could certainly do that, but it will be more preventative if you apply it all over. A313 is one of the strongest over-the-counter retinoids. A313 is one of those "French pharmacie" beauty products that is definitely worth the hype. France really does do retinol better! As someone who finds Retin-A too strong, but many over-the-counter retinols too weak, A313 hits that perfect sweet spot in the middle. I still don&apos;t know how, since it only contains mild retinol esters, but I&apos;ve test-driven enough retinoids to KNOW that it&apos;s working. After three months, I can clearly see the results. It&apos;s also a fraction of the price of popular retinols like Retinol Reform and A-Passioni, I might add, and a tube will last you for months. 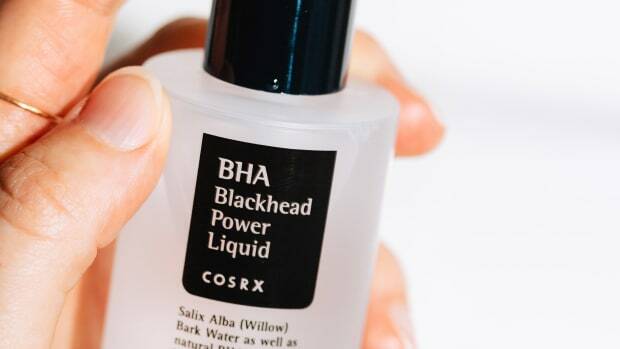 So if you&apos;re looking for a powerful, affordable anti-aging and anti-acne treatment, this French beauty secret is for you. I love A313 so much, it is now my number one retinoid recommendation. Let me know if you try it! Have you tried A313 yet? Retinaldehyde is anti-aging and anti-acne. Score!